It’s hard to get things done when your body’s fighting you. If you’re not cooperating with your body, it can be difficult to lose weight, get fit, stay active, or even have enough energy to get through the day. Not only can you achieve better health through yoga and natural remedies, you can also get in tune with what your body wants and forge a better relationship with it. In tandem, you’ll be able to easily achieve all of your goals. Even before you learn to relax and listen to your body, yoga will help your physical form. Practicing yoga will reward you with more flexibility, stronger muscles, more energy, and a healthier heart. It’s great for burning calories and can even help you avoid injuries in the future. It’s a great activity to try to slot into your schedule, whatever your goals are. 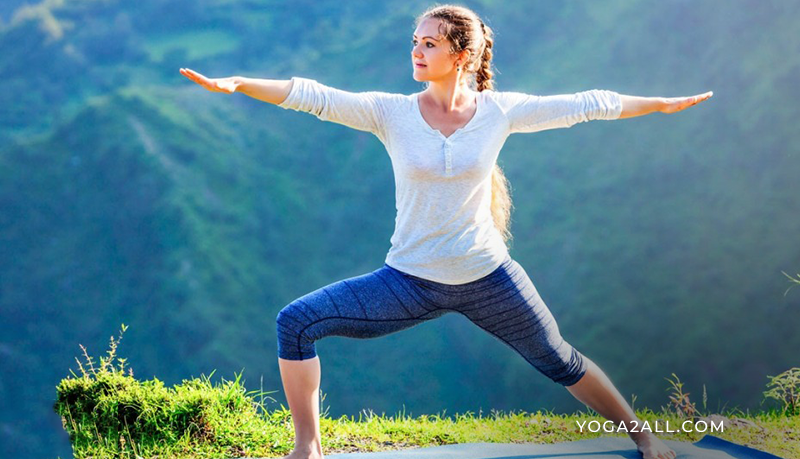 When it comes to your mental state, the meditation, concentration and breathing techniques that you practice during yoga work together to help you become calm and centered. It’s a great stress reliever on its own. Stress is often a powerful barrier that can stop you from achieving your fitness goals, so this is an important step. Meditation changes the way we perceive the world around us. As you become more comfortable practicing yoga, you’ll start to notice many things about your body that you didn’t notice before. You’ll pick up on subtle signals and notice that your body reacts to the world around you in different ways. This can serve as both motivation and inspiration for your personal journey. Sometimes, you’ll figure out areas that you can target with exercise and conditioning to achieve more balanced strength. Other times, you’ll simply be reminded of your present physical state. With the patience and persistence that yoga teaches you, you’ll be able to mold that state into the form you desire. Now that you’re more in tune with your body, you can use natural remedies to help achieve the changes you want. A bit of relaxation and an appropriate herbal tea can work wonders to soothe a headache or help you get over a cold. Modern medicine is effective, certainly, but it’s also not without its own set of drawbacks. Safe natural remedies can kick start a road to recovery and provide you the support that you need to achieve your goals. One of our local yoga instructors sometimes talks about how she went through her own transformational weight loss. She gets bombarded by clients asking her how to lose 20 pounds in 2 weeks just like she did. When she tells them, most of them aren’t happy with her answer. The ones that stick around and try it out are astounded with the results that they get. Yoga absolutely can help you achieve some very stunning goals. It’ll help teach you discipline and drive while providing a bit of cardio and rigor to help warm you up to a strenuous fitness program. While our local instructor lost 20 pounds in a 2 weeks, it wasn’t at the beginning of her transformation. Instead, it was in the middle. It took her several months of practicing yoga to get to the point where she could stick to a diet and get enough exercise to really make a difference in her weight. The end result was incredible: she learned how to relax, became much healthier, and looked much better. In order to achieve her goals, however, she had to work hard over a long period of time. You’ll get in tune with your body, relieve some stress, and avoid many of the complications that come with modern chemical compounds. While yoga can be a lot of work, it’ll repay you with dividends when it comes to your health, mental state, and your self-awareness. If you want to lose weight fast, get into shape, or even put on muscle, yoga is a great way to start your transformation. Once you’re warmed up and in touch with yourself, you’ll achieve your goals in no time at all.